Marvel Legends Vol. 3 #16. On sale 12th October 2017. Is Riri Williams up to the challenge of being the all-new Iron Man?!! Plus, the alien Chitauri are coming! Can Captain America, Captain Marvel and Alpha Flight stop the invasion?!! Also, Thor is challenged by the gods of the Shi'ar! By Nick Spencer, Jesús Saiz, Brian Michael Bendis, Stefano Caselli, Jason Aaron and Russell Dauterman! 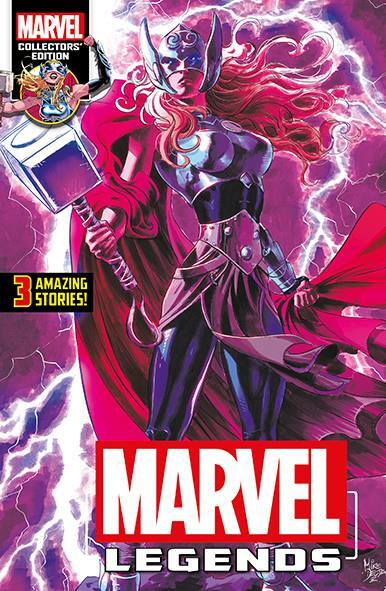 Includes material reprinted from Captain America: Steve Rogers #8-9, Invincible Iron Man #3, and Thor #16! Astonishing Spider-Man Vol.6 #31. On sale 12th October 2017. 100-Page special packed with arachnid-adventure! Only £3.99! The Clone Conspiracy reaches its cataclysmic conclusion! The Jackal’s plans may have been thwarted but the aftermath is far messier! Rhino on the rampage! 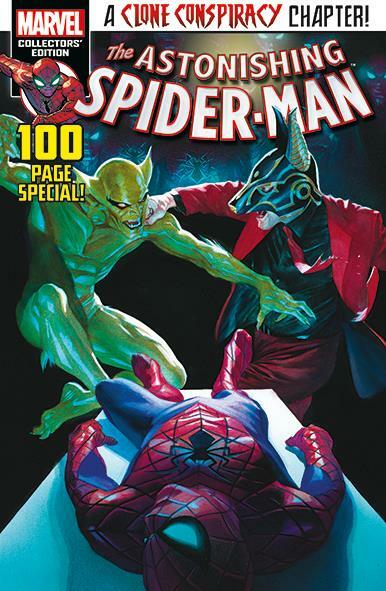 Discover the true fate of Ben Reilly, The Jackal, Doctor Octopus and the Lizard! And what of Spidey’s allies, Prowler and Silk?!! Christos N. Gage, Dan Slott, Cory Smith. Includes material reprinted from Amazing Spider-Man #24, Silk #17, Prowler #5 and The Clone Conspiracy Omega. i really liked the ending of clone conspiracy i hope they find room for bens solo series. THE CLONE CONSPIRACY has exceeded my every expectation. Good work, Dan Slott! I'm enjoying all the tales in Marvel Legends. Thor, in particular, continues to get better.